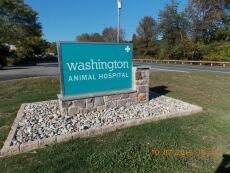 Washington Animal Hospital has been proudly serving the Warren County and Hunterdon County areas for over 30 years. Washington Animal Hospital is a full service veterinary hospital offering the best quality care and treatments for your pets. Dr. Grodkiewicz is a New Jersey native and has spent his entire life in the Garden State. He established Washington Animal Hospital in 1984, serving the needs of all creatures "great and small." Since that time, the practice has evolved to treat dogs, cats, and other small mammals. Dr. Grodkiewicz and his wife, Cindy, have four children who have kept them busy with numerous activities and sports related events. He currently has one dog, a Wire Haired Pointing Griffon, Leala, who is currently working towards titles in training, agility and hunt testing. He also has one cat at home named Felix. Jennie began working at Washington Animal Hospital in 1999. She left in 2001 and worked in the corporate world for seven years. In 2008, she returned to WAH and is now doing what she loves, which is caring for animals. Jennie has completed several 5Ks and tackled her first half marathon in October 2014. In November 2016 she participated in the New York City Marathon, her first, finishing in 5 hours 22 minutes 31 seconds. She lives in Washington with her six (yes, SIX!) cats - Fuji, Taj, Dobby, Spud, Olive and Bean, all of whom are rescues. Becky began her career in the veterinary field at Washington Animal Hospital in 1998. She worked here for almost ten years before venturing out west to San Francisco, California. After five years, she decided she had enough of the city life, packed up her pets and her belongings and moved back to the east coast. Shortly thereafter, she returned to Washington Animal Hospital and picked up where she left off. Becky lives in Pennsylvania with her cats and dog. Filipe began his veterinary career in 2003 at a high volume spay/neuter clinic as a technician, eventually reaching the position of Head Technician. When he moved to Washington in 2011, he decided he wanted a change of pace and to work closer to home. He began working at Washington Animal Hospital in 2012. Currently, Filipe lives in Bethlehem with his wife and their 4 pets. There is Clementine (a three legged dog), Buscemi (a one eyed cat), and 2 other cats named Blintz and Lua. Samantha started working at Washington Animal Hospital in 2007 as a kennel attendant while in high school. After about two years, Samantha made the transition to technician. She took took some time off from the hospital to follow one of her passions and work in a horse stable. After about a year, Samantha decided to return and foster her love of caring for companion animals. Samantha lives in Port Murray with her husband and their many animals: their dog Odin, their four cats (Vlad, Ollie, Skipper, and Maize), their two rabbits (Thelma and Louise), and numerous chickens. Samantha also enjoys spending time with her horse, Speedy. Jennifer came to Washington Animal Hospital at the end of 2014. This was after a 7 year commitment to caring for animals in the foster and rescue field. Over the years, Jennifer has fostered cats, dogs, guinea pigs, ferrets, and hamsters. At the hospital, she is able to utilize her expertise with handling a broad range of companion animals. 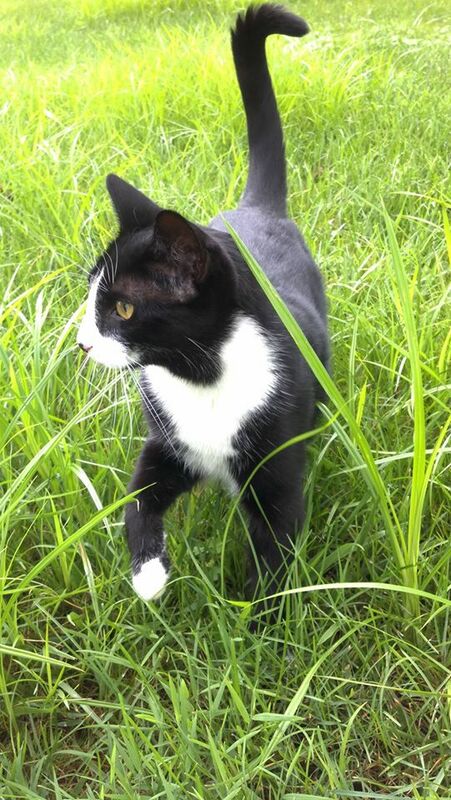 Jennifer lives in Blairstown with her cat, Gemma. Roux joined the Washington Animal Hospital staff in August of 2012 when we found him in our parking lot. We briefly tried to find him a home but quickly realized that this is where he belonged! Roux can be found lounging on the computer in the waiting room, hunting in the backyard or sleeping in any one of the cardboard boxes that he has claimed as his own.